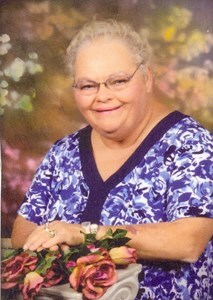 Mary Lou Francis, 69, of Indianapolis, passed away on March 22, 2019. Mary was born on January 7, 1950 to Arthur E. & Mary Edith (Bewley) Anderson. Mary is survived by her daughter: Mary Schwartz; granddaughter: Jennifer Nicole Roller (Jake); siblings: Richard Berry, Pat Berry, Eddie Anderson, Ricky Anderson, Wade Anderson, Peggy Smallwood, Wanda Kennedy and a host of other family and friends. Mary was preceded in death by her parents; step-father: Leo J. Berry; husband: Ralph G. Francis; brother: Fred Berry. Visitation will be on Monday, March 25, 2019 from 11:00 A.M. until her Funeral Service at 1 P.M. at Newcomer - Indy Chapel, 925 E. Hanna Ave., IN 46227. Interment will follow at Calvary Cemetery. To share a memory of Mary or leave a special message for her family, please click the "Share Memories" icon above. Add your memories to the guest book of Mary Lou Francis. U will be missed very much.. I remember when we lived on Bradbury Street I would always tell grandma that I was going next door to see u an uncle Ralph.. Me an Bernie would play with barbie on the front porch all the time.. An I remember when u an uncle Ralph would fix dinner an I would come next door to eat with u all.... U will b missed very much.... Rest in heaven now!!! !